If there's one kitchen appliance that tops the wish list for everyone year after year, most will probably say it's owning a Vitamix. It definitely was for me. The versatility of having a compact machine in your kitchen with a motor and blades powerful enough to make a wide range of recipes such as smoothies, salsas, doughs, frozen desserts, batters, and even hot soups without ever touching a stove top is a dream! With a new year upon us comes new ideas and innovation from Vitamix. 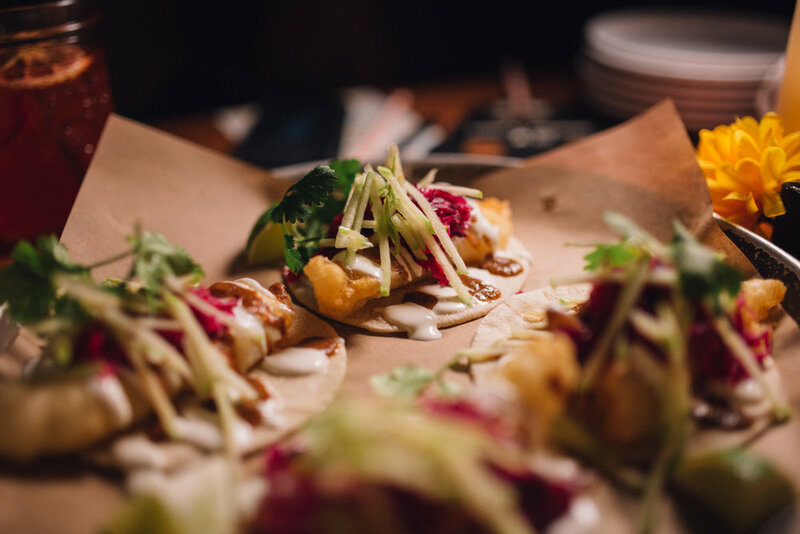 A brand new line of Vitamix blenders were being launched and I was invited to take part in a culinary journey hosted by Vitamix Canada and Chef Craig Wong of Jackpot Chicken in Toronto to see what the new Vitamix Explorian Series E310 was all about! 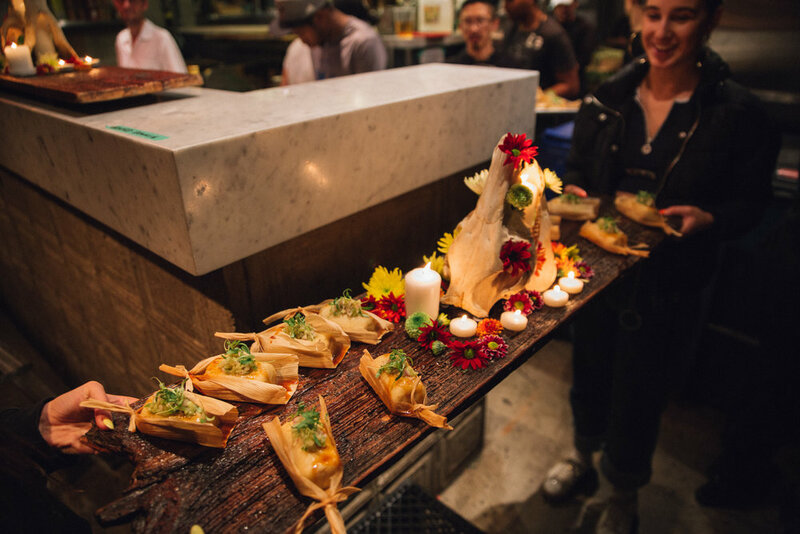 A carefully curated menu was prepared for us where all the key ingredients of each dish was prepared by the new E310 Explorian Series Blender. 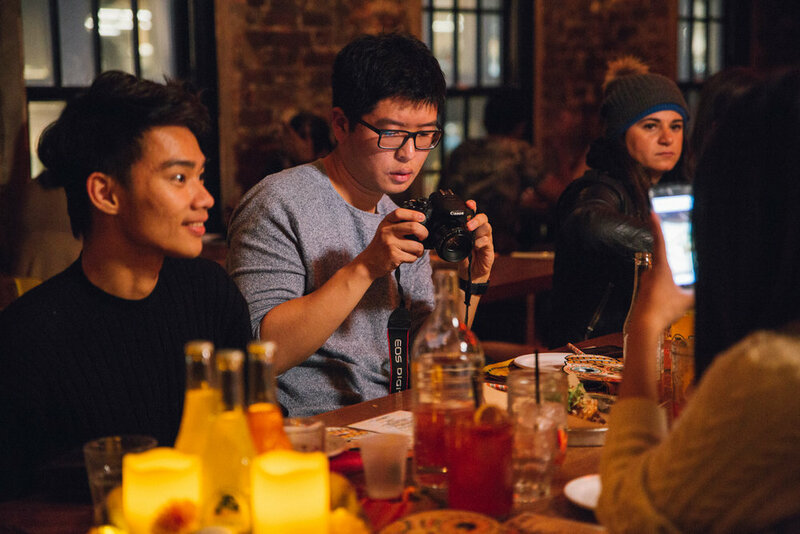 From start to finish, check out what we indulged in that night where the Vitamix E310 played an integral role in our dinner. Flash forward a few weeks after the media launch and my grown-up, kitchen-appliance loving dreams came true! A brand new Vitamix E310 Explorian Series Blender landed on my door step and a flood of recipe possibilities through the simple act of blending came rushing through. What I love about this new series is that it perfectly fits my lifestyle and kitchen space. I don't have a huge kitchen at home, but because the Vitamix E310 is smaller than its predecessor coming in at a 48-ounce (1.4L) container it fits perfectly into my kitchen space without taking too much room on the counter. The smaller container size is also perfect to blend drinks fit for one or two people, nothing goes to waste. The smaller size also comes with a smaller price tag compared to some of the other models with a price point of CAD$400 which is what people have been asking Vitamix to come out with for a very long time. They listened! If you're finally in the market to upgrade your smoothie game and want to get a great quality blender, but at a manageable price-point, the Vitamix Explorian Series E310 is then perfect fo r you! 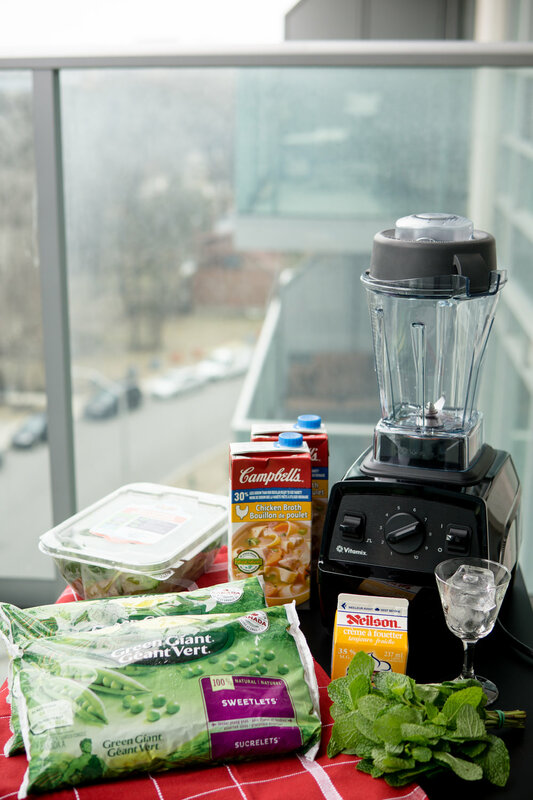 Here are some great features of the new Vitamix Explorian Series E310 that you'll love! With just one drop of dish soap and warm water, the Vitamix E310 can clean itself in 30 to 60 seconds - no disassembly required. 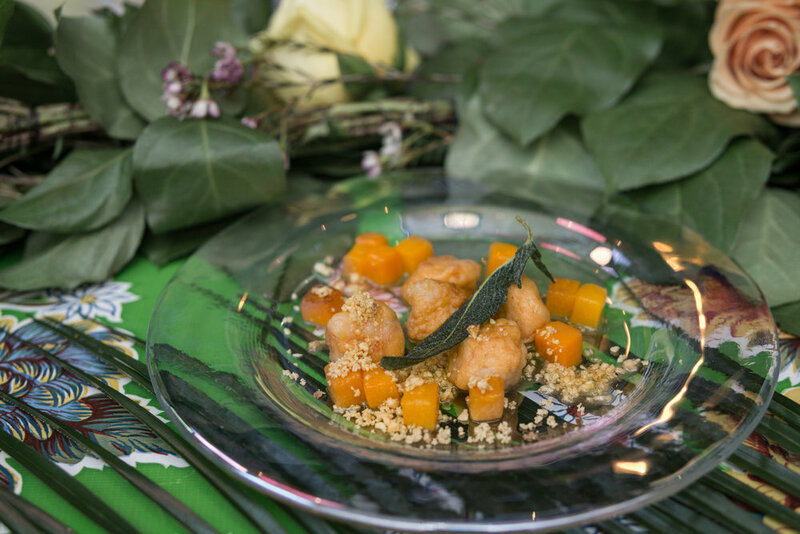 With all these great features I was able to put it all to the test at home by re-creating the exact same recipe that Chef Craig Wong made for us during the series launch at his restaurant. The "Chilled Green Pea Soup" was among one of the favourite dishes of the night and surprisingly so easy to make with the Vitamix E310 at home. You literally just need to throw in all the ingredients in the Vitamix and let it blend! All the work is done by that powerful motor and spinning blades. Before you know it a vibrant and healthy appetizer is ready to be served for a serving of 4 people. Enjoy! When it comes to entertaining often times the hardest part of putting a party together is trying to figure out what drinks you'll be serving to all your guests. Of course you can go the easy route and have a selection of store bought juices, pop, and beers on hand, but that's not the type of party you want to have. That's not the host you want to be! You want to provide your guests with choices. You want to elevate your party with home-made cocktails that get the alcohol flowing and people talking. Something that can be put together in a jiffy without leaving you stuck in the kitchen for hours on end. By the time you get through reading this article, you'll have at least one more party trick up your sleeve and let me tell ya. This is a good one! A simple solution to spice up your next party that will surely be a hit among all your guests is by offering up the Mexican soda, Jarritos. Introduced in 1950 as Mexico's first national soft drink, this drink has stood the test of time and is still enjoyed by millions of people around the world. Made with 100% natural sugar, many of their 12 delicious flavours here in Canada are sourced from actual fruit trees in Mexico. You can drink them straight up out of their distinctive glass bottles or turn them into colourful cocktails for a new and exciting way to make some boozy drinks. 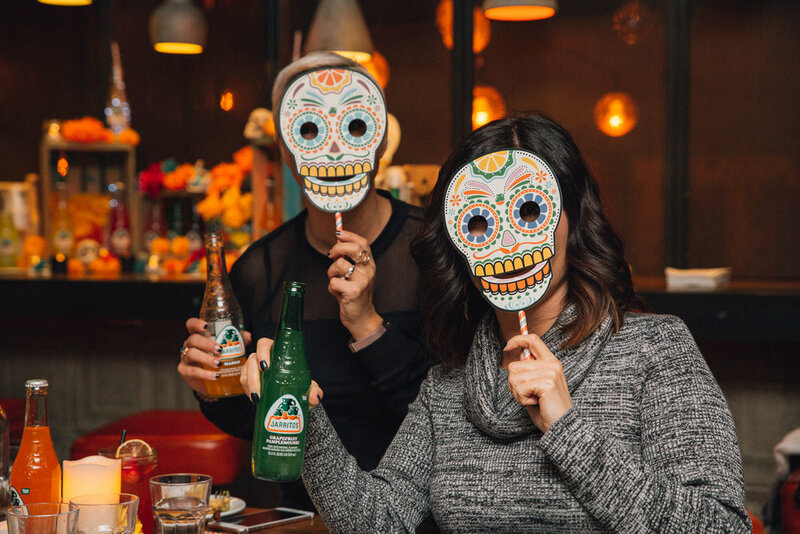 A few weeks ago Jarritos helped celebrate "Dia de los Muertos" aka Day of the Dead or All Souls Day in Toronto, where they hosted a media dinner at one of the city's finest Mexican restaurant La Carnita. 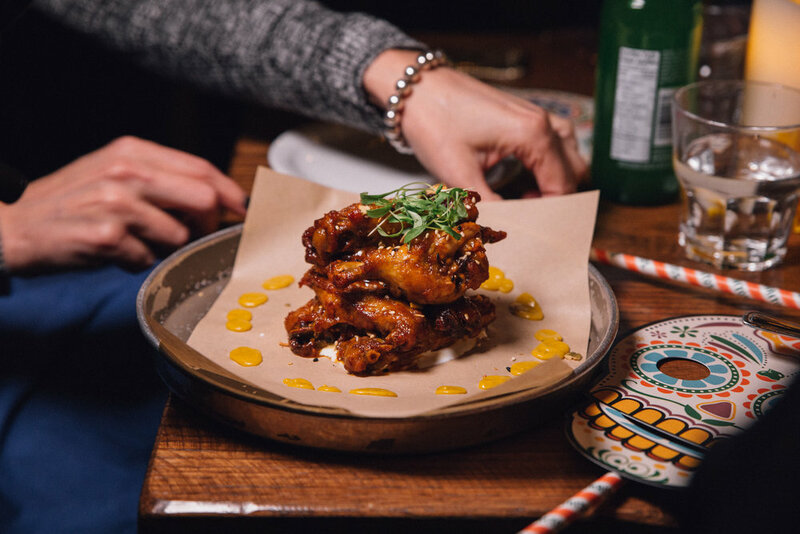 We had the most epic Mexican feast the night after Halloween which consisted of Dips & Chips (the fresh guacamole was amazing), chicken wings, Mexican street corn, tacos, and paletas. One of the highlights of this feast was definitely the Jarritos cocktail that started the night off for me, and ended the night as well. I just couldn't stop drinking it and lucky for us here I have the recipe to re-create it back at home! 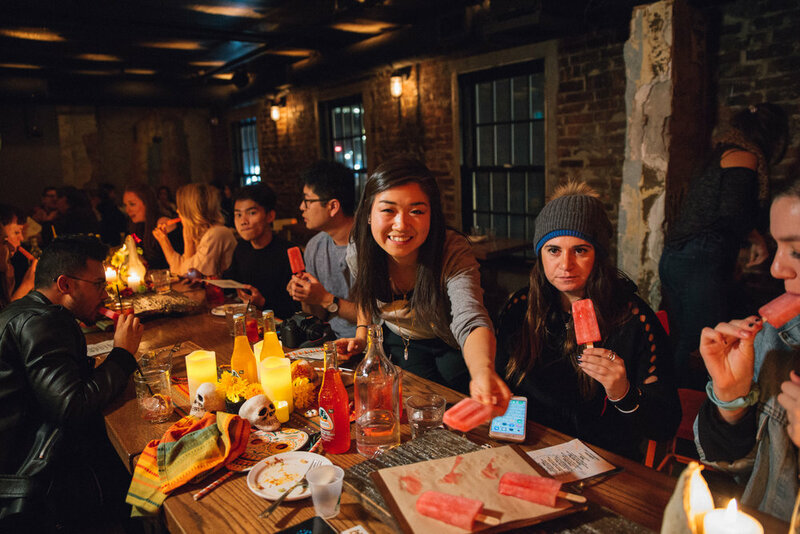 The "Strawberry For The Souls Cocktail" was created by Joanna Matysiak of La Carnita and incorporates the strawberry flavour of Jarritos in it. This is the perfect cocktail to incorporate at your next party because it's so easy to make and it just tastes absolutely delicious and refreshing with the aromatic strawberry flavour it brings. Combine tequila, lemon juice, and coconut water in a shaker and shake away. Strain contents into a mason jar (or glass) over fresh ice. Top up with strawberry Jarritos, garnish, and enjoy! If you want to switch it up a bit, or add some more variety of flavours into the mix just replace the Strawberry Jarritos in the end and try some other fruit flavours such as Pineapple, Mango, or Grapefruit (all personally my other favourite fruit flavours from Jarritos). 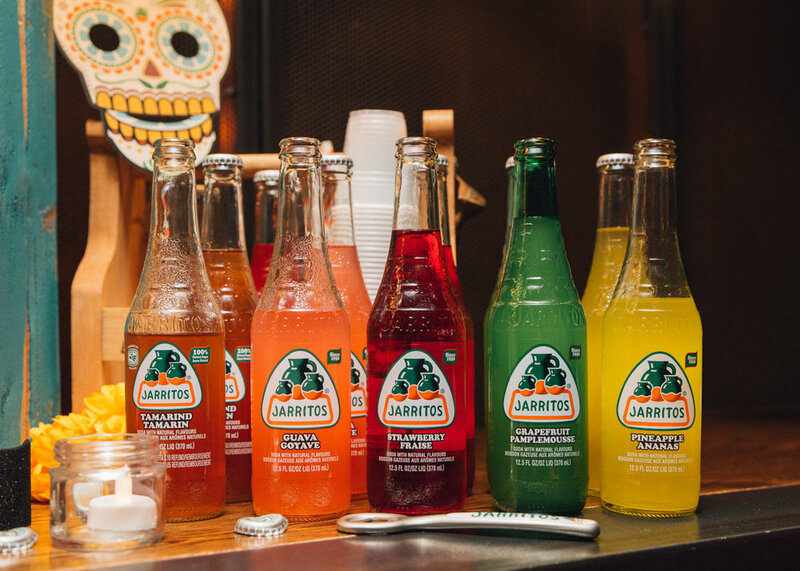 Half of the fun is getting to experiment with all the colourful and fruity flavours Jarritos offer! 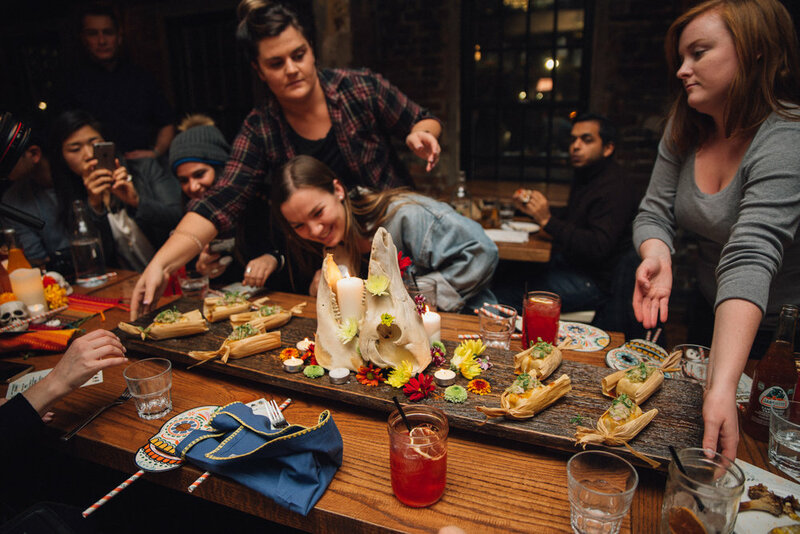 We have three exclusive Caesar recipes for all our readers today from one of the hottest restaurants in Toronto right now, Drake One Fifty, the Drake Hotel's chic stand-alone destination restaurant in the heart of the Financial District. These three cocktail recipes is directly from the head bartender himself Gord Hannah who has already mastered the art of cocktail making, and has graciously shared three of his favourite Caesar recipes with us including their Classic Drake Caesar. These cocktails will surely impress your guests the next time you are hosting your very own cocktail party, and the great part to this is that they are super easy to make thanks to the clear and concise directions from Gord below. Check out the three Drake One Fifty Caesar recipes below! Directions: To craft your perfect Canadian Caesar, begin by moistening the rim of your glass with a lemon wedge and then coat with celery salt. Fill your glass half-way with ice and then you’re ready to pour! First, add the vodka followed by the Carol + Co. Bloody Mix and a pinch of horseradish. Top your glass off with Clamato juice and then let the garnishing begin. Trim your Caesar with olives and add crushed pepper to taste. After that, it’s all yours to drink! Directions: A new twist on an old classic, the Cucumber Gin Caesar is the perfect drink for summer! Begin by moistening the rim of your glass with a lemon wedge and then coat with celery salt. Ice your glass half-way and add in a couple of cucumber slices. Follow this by pouring in the gin and the Carol + Co. Bloody Mix. Top off your drink with Clamato juice and garnish with crushed pepper and a cucumber ribbon. The cucumber ribbon is a pretty touch that will be sure to wow! To make: peel a thin slice of cucumber and weave through a tooth-pick in an ‘S’ formation. 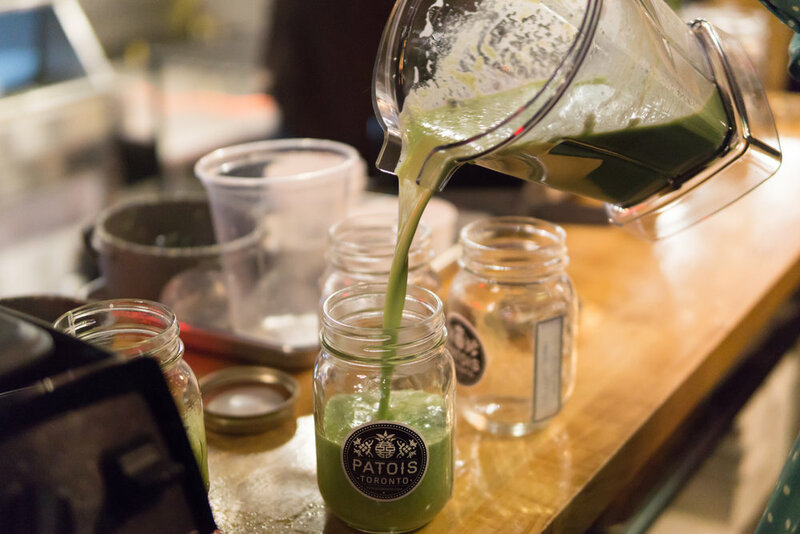 Directions: For a drink that truly packs a punch, look no further than the Cilantro Tequila Caesar! Begin by moistening the rim of your glass with a lemon wedge, coat with celery salt and ice. Next, bruise your cilantro by putting it in the palm of your hand and slapping it with the other. This will really bring out the flavour! Add the cilantro into the glass and pour in the tequila, Carol + Co. Bloody Mix, and horseradish. Top off your glass with Clamato juice and garnish with olives and cracked pepper to taste! Photos taken by Brian Lai.